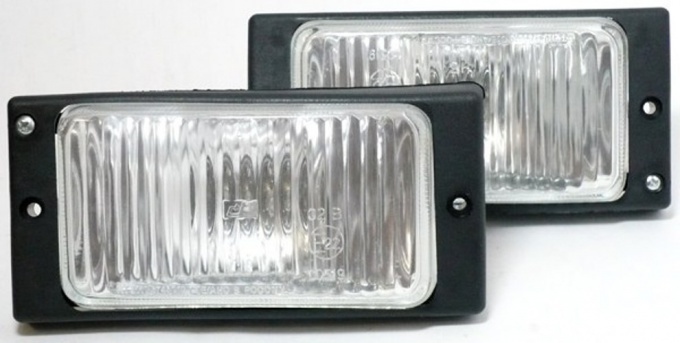 Additional lights is fog lights and headlights high beam. Their installation is necessary to improve visibility of the road in difficult weather conditions, which improves traffic safety. When installing remember that the lightsthat you will install should not interfere with the access of air to the radiator and does not stand for the dimensions of the car. Try to install them symmetrically relative to each other. Don't put fog lights higher than the low beam. Prepare a ruler, pliers, screwdrivers and wrenches. You will also need a drill and set of drills. Open the housing of the headlamp and remove the optical element. This will allow you to avoid damage to the lamp and glass. Carefully note the symmetric space, select them on the surface of the bumper and drill the holes. Treat with ANTICOR of the hole. Attach the headlight housing. Install relay contacts facing downwards to avoid ingress of water, in any convenient place. Remove the cap switch on the instrument panel and install the switch. Now it's all about proper connection of the auxiliary lights. To start, disconnect the positive battery terminal that will provide safety. Route and connect wires in accordance with the scheme. Use wires of the same size, carefully crimp the ends and check for loose connections. 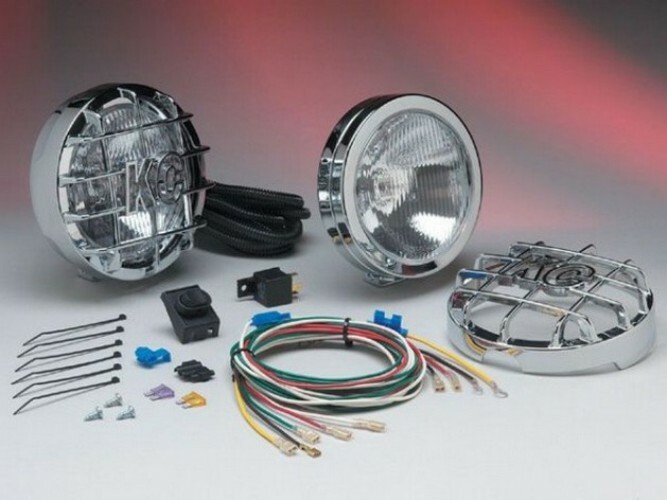 Install a halogen lamp in the optical element. Remember not to touch the bulb with your fingers, not your hands - this will bring up a greasy stain. Hold it by the base with gloves or with a cloth. If you accidentally stained the lamp, clean it with a piece of cloth and alcohol. After that, connect the lamp wires and insert the optical element into its place. 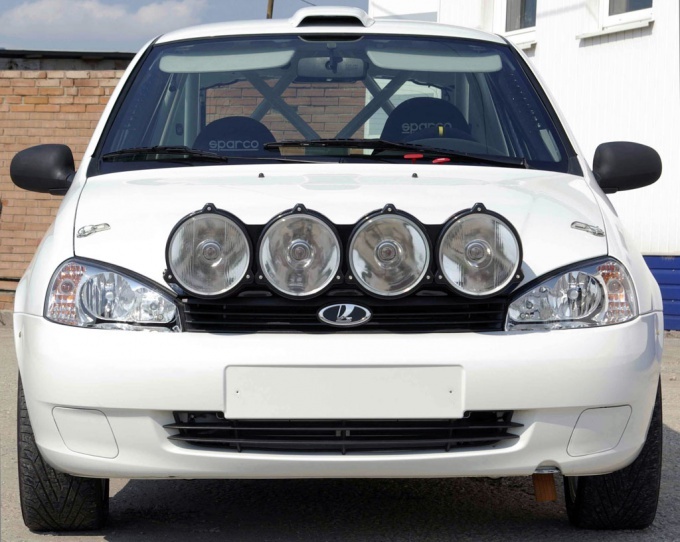 Adjust the headlights and ensure they were clean, because dirt absorbs enough light. Do not wash with water or snow lights during operation or immediately after it, it can cause cracks. Always try to have spare bulbs and fuses in case of faults. when the near and distant light creating a translucent haze, which reduces visibility. 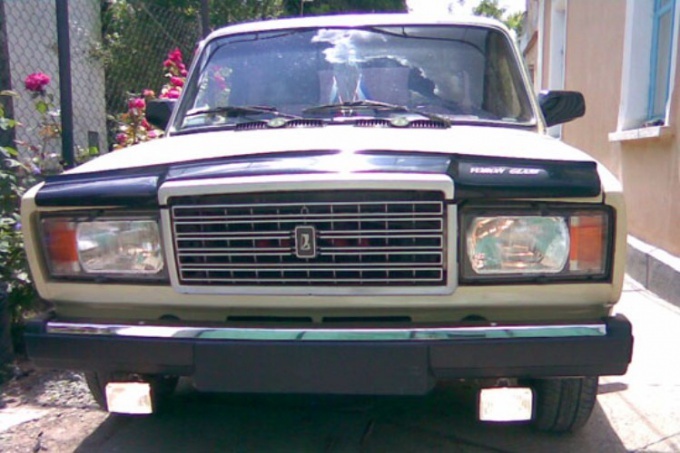 Of course, both headlights should be the same color yellow or white. Their location is not allowed above the main lights of the vehicle and symmetrically to the longitudinal axis. So installing fog lights for vases is as follows:Install the relay under the hood (in order to mitigate the voltage drop and to relieve the contacts of the switch). For the relay there is already a hole near the starter relay. Through the hanging fuse with the positive terminal of the battery post plus the relay. Insert the bulb in place, hang the lamp to the mount (the rear part), pull the wires from the relay, connect the bulb connectors, all assemble and ready! Don't forget to check the thoroughness of the isolation of compounds: the majority of fires happen due to faults in the wiring. After installing the headlights, you must adjust them. This is done very simply: Faro tilt so that the maximum brightness of the spot light was on the earth's surface at approximately 20-25 meters from the car. Don't forget that the lights adjust individually, covering each alternately, for example, a piece of cardboard. 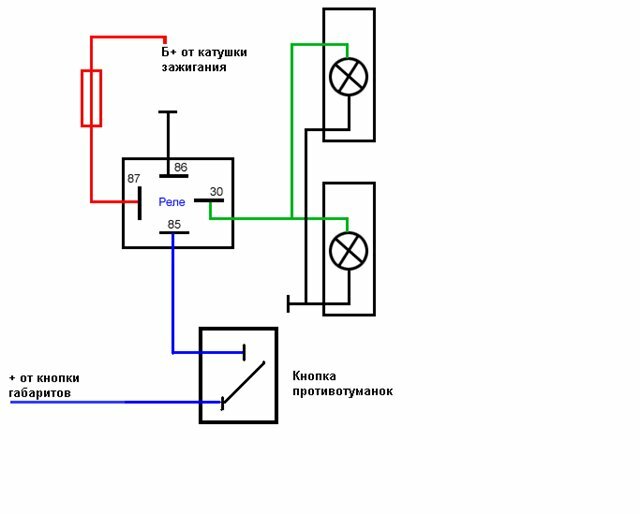 Wiring diagrams fog light set, we gave a scheme which works on the principle of beam: +12 volts switch on the fog light is served only when the dimensions. The power button is better to install fog light switch outdoor lighting or under the dashboard.